Now with our office fruit delivery you can boost staff morale and wellness in addition to being socially responsible. Help us reduce food waste, pay a fair price to local growers and donate to food charities. 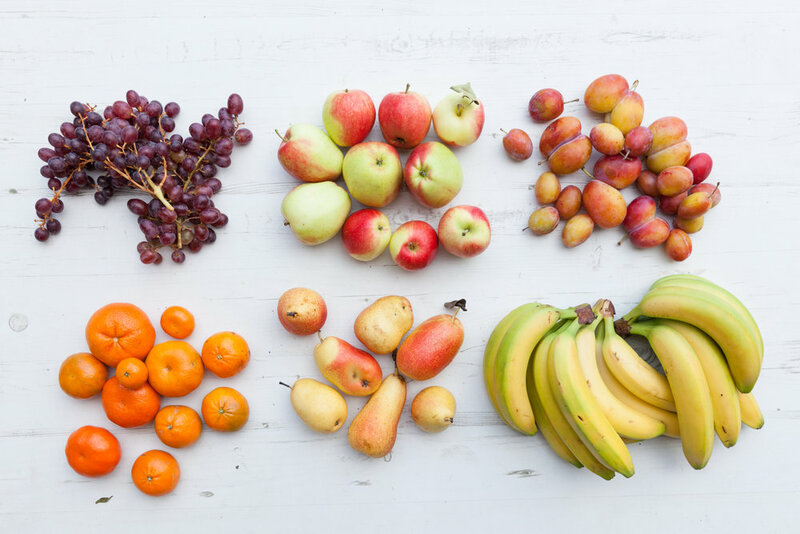 Your office fruit box is packed with 5 varieties of seasonal fruits that are perfect for snacking. Each box contains 50 fruit portions. We can also do custom boxes that contain more than 50 fruits. Want less pears and more bananas? No problem! Just let us know and we'll adjust the box contents. You fill in the personalised order form to determine order quantity. We deliver a hassle-free supply of healthy snacks every Monday and Wednesday* using our electric van service. Your staff enjoy healthy, quality fruit with a sustainable story. Eat wonky with a conscience. We donate 10% of our surplus to food banks and collect the used boxes to recycle or reuse. We deliver our fruit boxes to Zones 1 and 2 in London. If you’re outside the highlighted area below please do get in touch at hello@oddbox.co.uk – we might be able to reach you! We donate 10% of our surplus produce to local charity projects like the People's Fridge in Brixton and City Harvest . Watch the videos below to find out more!